Ceasar’s Ice Cream is a family-owned company that began in 2001 with a dream of bringing the mouth-watering taste of the tropical flavors to the United States. Their company is conveniently located in South Florida – the perfect place with an abundance of sunshine and multiculturalism. 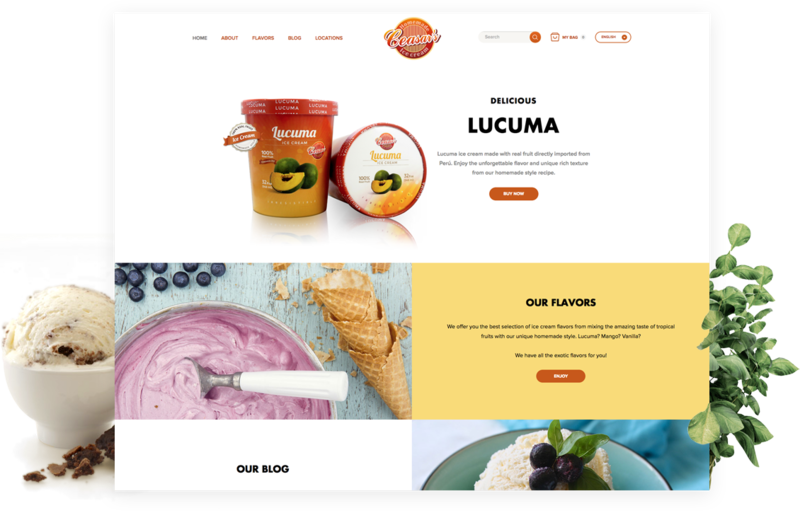 Since Ceasar’s Ice Cream strives to bring the best products to their diverse customers, our goal was to create an interactive website with appealing colors that make visitors feel like they’re in a fresh, tropical environment. Cultura Interactive was approached by Ceasar’s Ice Cream to create a fresh new website with eCommerce capabilities that allows customers to purchase the ice cream online, utilize a store locator to search for distributors in their area, and even enjoy interesting articles about ice cream and recipes on the blog. 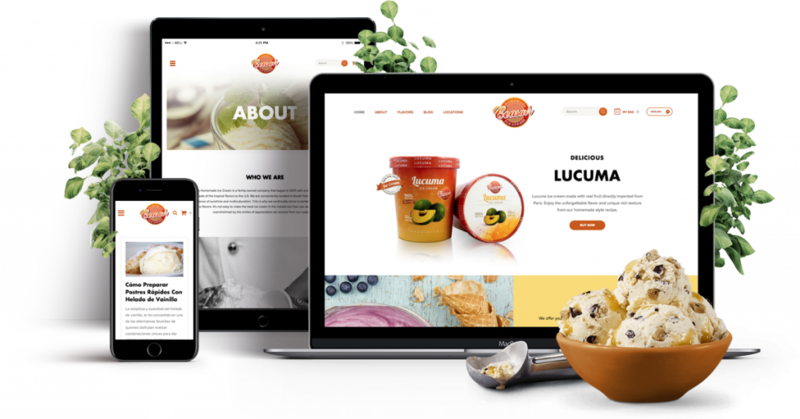 As WooCommerce Experts, our web developers transformed Ceasar’s Ice Cream into a thriving eCommerce store. 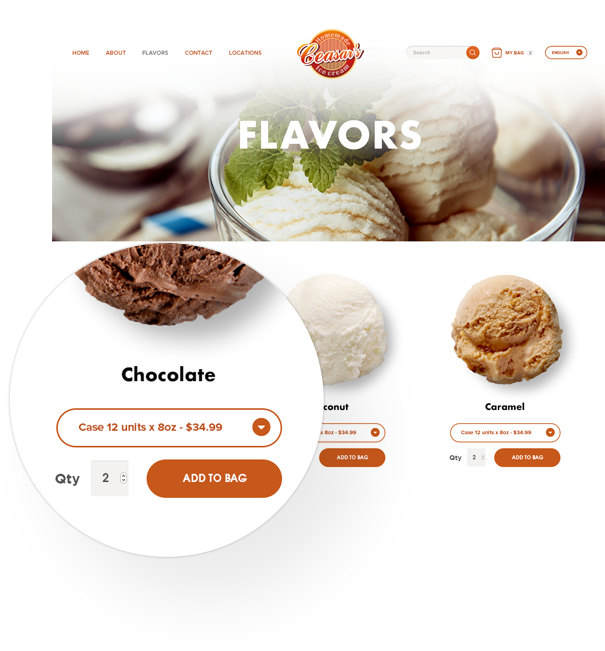 WooCommerce makes it easier for store owners to input and manage their inventory and add a variety of attributes, so that customers can choose specific flavors and volume size of their ice cream. When an order is placed, the delivery dates are calculated automatically based on customer geo-location and will be shipped to almost any location within the United States. One of our favorite features of this website is the store locator. 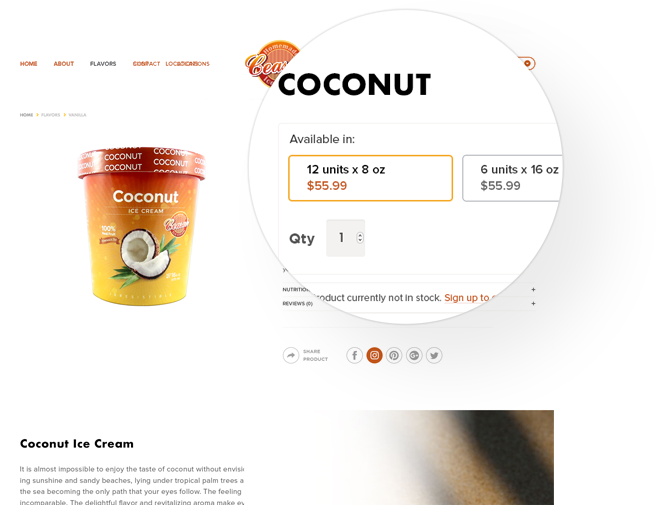 We modified a popular mapping API to create a customized store locator that allows customers to search for the nearest location that sells this delicious ice cream. 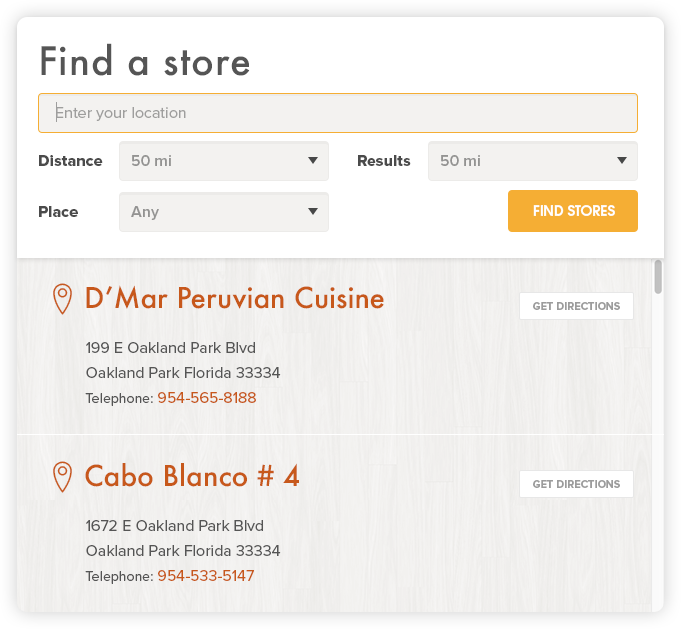 Users can also filter their search between stores (off-premises) and restaurants (on-premises) and purchase Ceasar’s Ice Cream locally. Since Ceasar’s Ice Cream sells their products to the public, it was highly important to have a mobile-friendly website. This way, users can easily navigate and purchase their favorite ice creams on any mobile device without the hassle. It’s a seamless transition from desktop to mobile, and the website can be visible on even the smallest screens. We took the design process a step further and went beyond the online environment. With the use of fresh and vivid colors that represent tropical and unique flavors, we created a brand new packaging design for Ceasar’s Ice Cream in order to highlight that homemade style, and showcase their products across grocery store shelves across the nation. 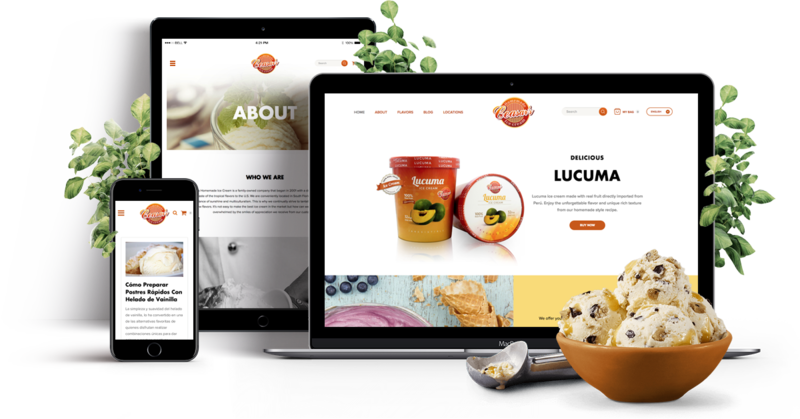 Our team created a blog section on the new website in order to provide visitors with a variety of interesting articles, enticing recipes and fun facts about any topic relating to ice cream. It’s an added bonus to the website, and readers can even comment or share the content on their own social networks. An essential part of owning an eCommerce website is promoting your products both online and offline. Since Ceasar’s Ice Cream is currently selling their products online and in popular grocery stores and restaurants in South Florida, it was important to have a solid internet marketing strategy in order to create brand awareness. 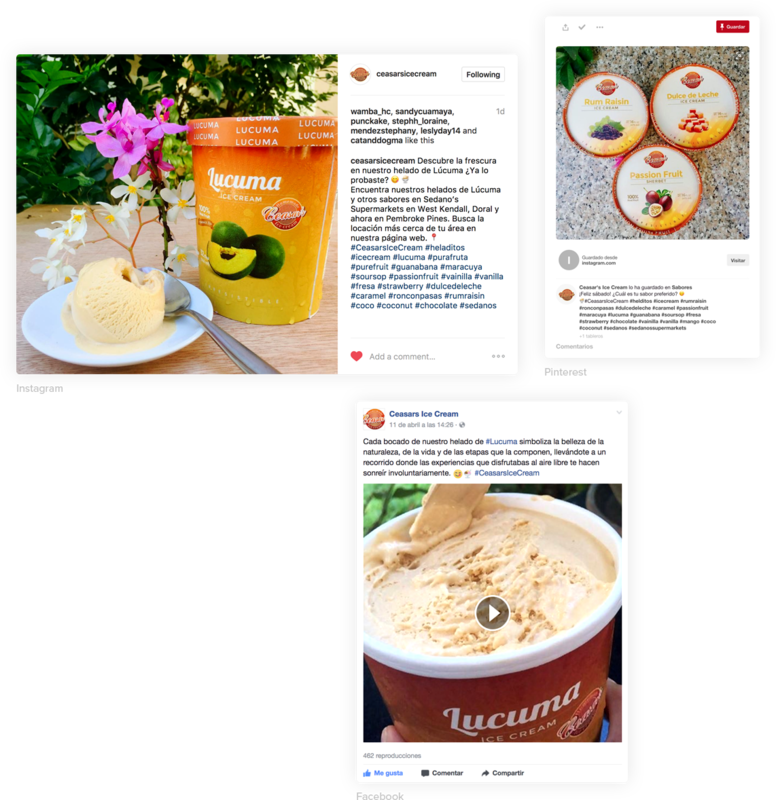 Our internet marketing specialists are currently in charge of managing and creating engaging content across social media, along with analyzing and conducting Facebook ads and email marketing campaigns for Ceasar’s Ice Cream.